The most convenient case available! The Wrap-Up is designed to integrate the camera and case as one. 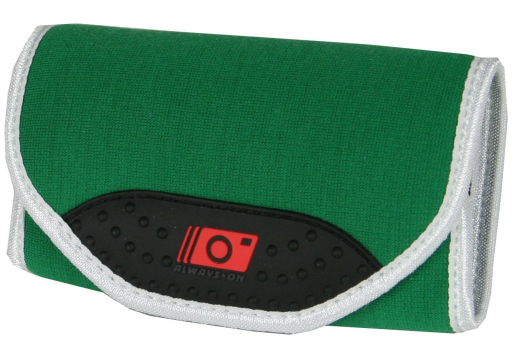 The Wrap-Up uses a thin baseplate to attach to most compact cameras, the neoprene wrap stretches tightly around your camera. The Wrap-Up is one of the slimmest cases on the market today. Slim is in The The Wrap-Up Camera Case is the only camera case that provides an instant compact case with minimum bulk. Unwrap and shoot, wrap up and go! The Wrap-Up Camera Case is uniquely designed to allow quick access to your camera so you'll never miss a shot. Loss Prevention The Wrap-Up Camera Case features a sturdy base plate that installs in seconds and stays on for keeps.